The legendary TV comedian raises the bar in The Ernie Kovacs Collection. The Ernie Kovacs Collection is an invaluable addition to the small number of DVD box sets devoted to seminal 1950s TV. It also offers further evidence that, while Milton Berle was the first popular variety show host, Sid Caesar was the all-around funniest, Steve Allen the wittiest and Jackie Gleason the most durable, Kovacs was the only television comedian of his era who crafted sketches and visual images designed explicitly for the medium of television. Thus, his best material seems eternally fresh and also incredibly familiar — thanks to its having influenced shows from Laugh-In to NBC’s Late Night With Conan O’Brien. This six-DVD box is structured chronologically and is without question a feast for Kovacs fans, supplying as it does some of the rarest material that has survived. The reason such a sizable library of material exists is because it was admirably archived by Kovacs’ widow and talented costar, Edie Adams. Those unfamiliar with Kovacs’ work should start with the last three discs, as they represent his best work in the medium. Diehard fans should be aware that Shout! Factory has made a seventh disc (featuring equally rare material) available, but in a somewhat unique marketing move, only through purchases of the box on the Shout! Factory website. Great post. 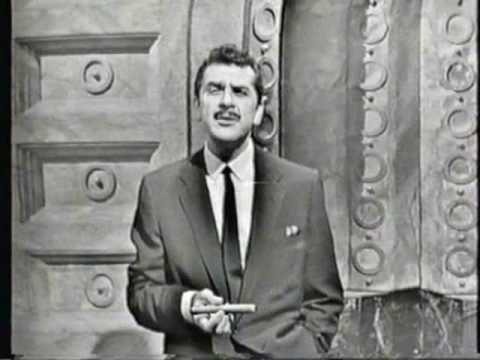 I run http://www.erniekovacs.net and I can tell you this set is outstanding. If you visit my site you’ll see a page where I’ve posted the full contents of the set. You are correct; fans must order through Shout Factory to get the bonus 7th disc, “Buried Treasures”. I’m sorry for posting twice; the first coment didn’t seem to take. You’re right Ed: it certainly is a feast for Kovacs fans! !